Healing energy, meditation, natural nourishment, and spiritual study threads through my life and has since childhood, continuously shaping me into the healer and teacher I am today. 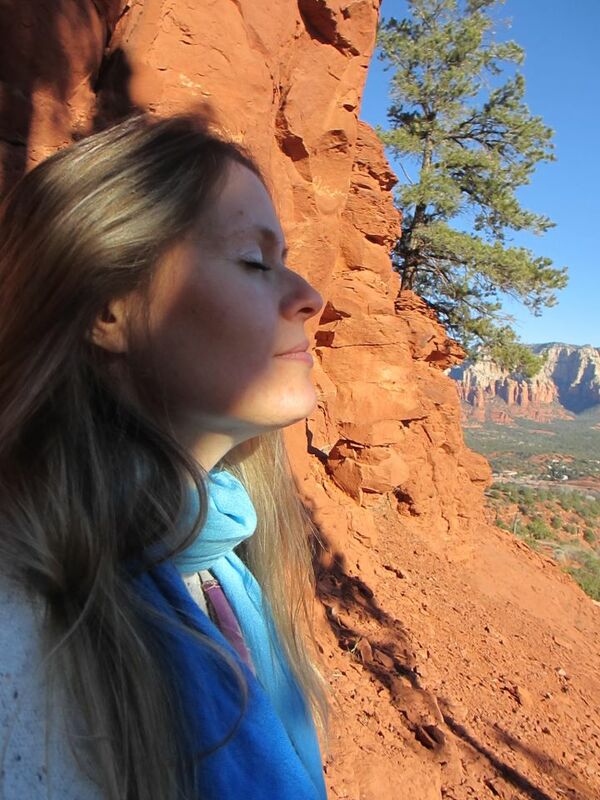 I have woven together a Reiki energy healing practice with my passion in vegan and raw foods, for this is all – on an energetic level – almost synonymous. It all works beautifully in tandem, heightening consciousness, compassion and opening the third eye, encouraging healing, inspiring purpose, and igniting a higher frequency in one’s own spiritual energy and functionality. One does not have to eat vegan or raw foods to be an effective Reiki practitioner, nor does one have to dabble in the healing arts to enjoy vegan or raw food nutrition, but I thrive with this healing, harmonious, loving, high-vibe conjunction. I have spent most of my adult life experimenting with both vegetarian and vegan diets. I have been a professional weight loss consultant since the mid-90s, encouraging healthy lifestyle, balanced nutrition and a more radiant sense of well-being. It was in 2004 that I discovered raw foods and was immediately heart-struck. 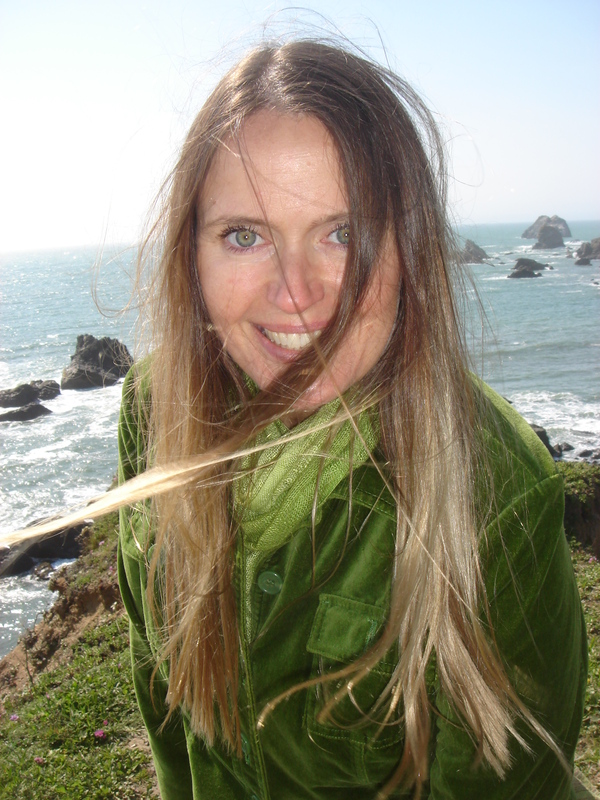 I formally and blissfully dove right into the world of raw food by furthering my education and enrolling in Living Light Culinary Art Institute in Fort Bragg, California. I graduated as a raw food chef and instructor and immediately formed an inspirational, educational company called High Raw Foods. I jumped right into teaching culinary raw food classes. 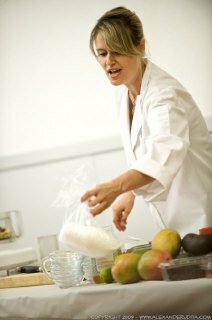 I gave talks and culinary demonstrations at potlucks and raw food expos around Northern California. Though I no longer have this business, you can still find my High Raw Food fan page on Facebook HERE. It was a natural evolution for me, moving from the weight loss, raw food and the nutrition sector and into professional energy work. Deeply compassionate service, light work, healing, and spirituality are all part of my innate, natural essence. This is who I really am. Yes, I will always be a passionate health foodie, and I love to help people be the best they can be physically and healthfully, but my spiritual and Higher Self is the absolute core of my entire awakening Being. It is what I resonate with at deep, sacred levels, and it is what makes my life poetic, beautiful and light. Having a healing practice allows me to comingle higher truths with right work. It allows the Divine within me to honor the Divine within those I work with as I heal, guide and support them. This strong, expansive, creative, spiritual connection I have began many, many years ago. As a young child, growing up in the San Francisco Bay Area, my parents were closely connected to a communal ashram (a group of like-minded spiritual seekers meeting together with the guidance of an enlightened guru) where meditation, yoga and spiritual discussions took place. As a family, we lovingly referred to the ashram as “church,” and we would go to “church” every Sunday. In addition to this experience, my father is a healer, faery lover, multi-religion theologian, Tarot reader, art teacher and freelance artist by trade. My mother, a retired teacher, is also an artist as well as a lifelong devotee to meditation influenced by Buddhism. As a result of all this, I was raised with a very wide spiritual, non-denominational, multidimensional perspective influenced by years of meditation, yoga, acupressure, energy bodywork, creative artwork and lots of magic in my life. It’s safe to say that spirituality, healing, art and teaching are also in my blood, for all this was my childhood reality, and it is what fulfills me now. In addition to my multi-cultural and eastern-religious foundation, I do feel a deep kinship to Native American shamanism, earth-based spirituality and well as a profound resonance with Christian mysticism. I am keenly connected to higher transdimensional reality, the higher dimensional angelic and fae realms, Christ Consciousness, sacred geometry, Universal Life-Force Energy, unconditional compassion, unconditional love, crystals, color therapy, Tarot, past lives, Ancient Egypt and the universal collective consciousness to name just a few of my growing interests and modalities. It is difficult to encapsulate in words everything I embrace and all the realms and energies I work with, for it is an ever expanding evolution and awakening that seems to build upon itself daily. * You’ve been doing this for a very long time, in many lives. * Wow, that wasn’t just Reiki was it? * I received a vision of you doing this work in Ancient Egypt. * I saw and felt your angel work with you during the healing. * It was as if a little faery was inside my body, tending to all of its needs. * I had a vision of you as a Native American medicine woman while you worked on me. Click HERE to find my Testimonial page and to read more of what my clients and students are saying. I currently live in Sonoma County, California, in the beautiful Northern San Francisco Bay Area. Shana connecting with Raven in Bodega Bay, CA.